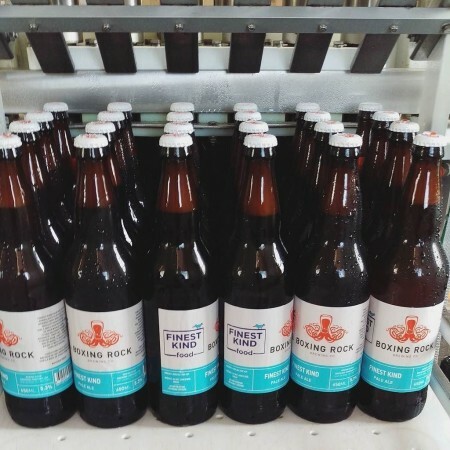 SHELBURNE, NS – Boxing Rock Brewing has announced the release of a beer created in collaboration the owner of a new food trailer that will be setting up shop at the brewery over the summer. Finest Kind Pale Ale is a 5.3% abv and 35 IBU ale brewed with input from Sheila Bird of Finest Kind Food, which will be launching at Boxing Rock on Saturday May 6th. Finest Kind Pale Ale is available now in 650 ml bottles at the brewery, and growlers at the Boxing Rock booth at the Seaport and Alderney Farmers Markets.